The NBA playoffs are back on the schedule as the Brooklyn Nets will clash with the Philadelphia 76ers in game 1 of the series. The Nets are heading into this game after a 113-94 home win over Miami. And on the other side, the 76ers beat the Bulls with a score of 125-109. The Nets are heading into the postseason in a good form. 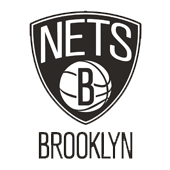 Moreover, Brooklyn managed to secure three wins in a row in their last three games of the regular season. Also, the Nets closed the season with 42-40 record which was enough for the 6th seed in the Eastern Conference. This is a good young team with great potential. And with players like D’Angelo Russell, the future is bright for the Nets. On the offensive side of the game during the regular season, the Nets record is 112.2 points per game, which is enough for the 15th spot in the league in scoring. Moreover, their average boards’ record per game is 46.6 boards per game combined with 23.8 assists per night. On the defensive side of the game, the Nets concede an average of 112.3 points per game. Therefore, this record is enough for the 18th spot in the league in scoring defence. The 76ers finished the regular season 51-31 and they have an advantage in the prospect of playing at home in this first game of the series. On the offensive side of the game during the regular season, the 76ers average record is 115.2 points per game, which is enough for the 4th spot in the league in scoring. Moreover, their average board’s record per game is 47.8 boards per game combined with 26.9 assists per night. On the defensive side of the game, the 76ers concede an average of 112.5 points per game. Therefore, this record is enough for the 19th spot in the league in scoring defence. The Nets are a good team, especially at home. They ended the season on a high with a convincing performance in the game against the Heat. But in this game, they will be facing the in-form 763ers. Also, the 76ers rested some of their key players in the game against the Bulls. All in all, the 76ers are playing at home and have their key players rested. That should be enough to give them the edge in this game. Take Philadelphia in this one. 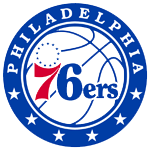 My Free Pick & Prediction for Brooklyn Nets vs. Philadelphia 76ers 04/13/2019 is: take the Philadelphia 76ers -225 (Moneyline).